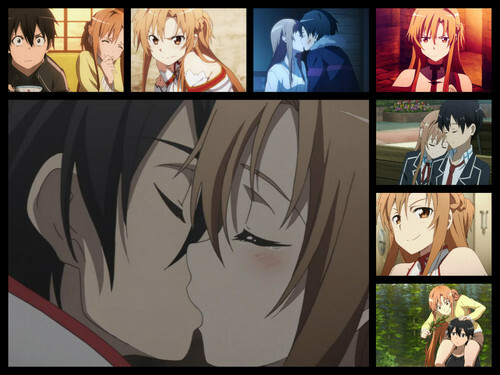 kirito and suna forever. these two are perfect :3. HD Wallpaper and background images in the 소드 아트 온라인 club. This 소드 아트 온라인 fan art might contain 스테인드 글라스 창, 애니메이션, 만화, and 만화책.